View Earthquake and Miyagikyo distillery in a larger map. Red flag was the epicenter of the quake. The red boxes are among the areas where there has been most devastation. Much of the damage has been caused by tsunami, rather than the original 9.0 magnitude quake. The blue flag marks Miyagikyo. Update 25.3.2011: I got a message from Minoru Miake, manager of the production section at Miyagikyo. Translated from the Japanese, it said: "Fortunately, there was no big damage to the factory. Family and workers were safe. It will take time, as we don't have any petrol or oil, but in April we may be able to start making malt whisky again." 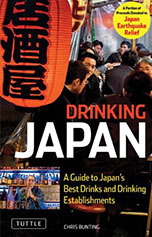 Update 17.3.2011: Mark Gillespie at Whiskycast reports a representative of the company: "Employees of Asahi and Nikka are fortunately safe and the Miyagikyo distillery was not seriously damaged. I heard that the facilities including the pot stills and the coffey still are OK." There is of course very major disruption to road and other communications links. A full assessment of damage to stock has not yet been carried out. 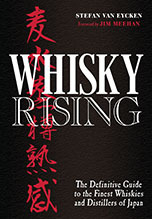 Update 13.3.2011: According to David Broom at Whisky Magazine, the organiser of Whisky Live Tokyo David Croll has talked to Hisamitsu-san at Nikka Whisky. Miyagikyo distillery and staff are, apparently, okay. A number of people have asked me about the situation at Nikka Whisky's Miyagikyo distillery following the massive earthquake in that area. I am contacting people at the company but I think they are very likely to be overwhelmed by the situation at the current time. I have had one report from someone outside Japan with very good contacts with Nikka saying that, other than damage to some stock at Miyagikyo, there does not seem to have been very severe damage. But I think it is important to understand that this is a developing situation. Communications across the region have been very severely affected. I was doing a report yesterday about the damage to firms and two companies had no clear idea of what had happened to their factories in the North. The situation does look very grave. Miyagikyo is inland and in the hills, so these huge tsunami may not have affected it, but it is directly to the east of the 8.9 shock and very close to some of the communities that have been most gravely affected. Of course, there is the terrible possibility that some of the people who work at the distillery have been caught up in the disaster on the coast. I am sure all our thoughts are with them. There are other whisky facilities in the areas affected by the quake. For instance, there is a facility at Tochigi. Again, we are all hoping they have not been affected. I will update Nonjatta as soon as I receive any news. To get an idea of the extent of the damage, look at the image of Natori on this New York Times page. Natori is about 15 miles to the southeast of the distillery. This high definition footage is from a different area, further to the North, but gives some sense of the possible destruction. thanks for keeping us informed on how the situation in the Sendai region and at Miyagikyo develops. Thought you might like to know - I was at the Yoichi distillery on Tuesday this week and asked the staff there about the situation at Miyagikyo. We were told that there has been negligible damage to the plant and that the staff are all safe. Operations have been disrupted because of the earthquake and tsunami but this is mainly due to transportation networks being affected and not due to any damage to the production process.